How Much Do You Know about the Story Everyone Knows? The impact and influence of Charles Dickens' A Christmas Carol on the way the holiday is celebrated in Britain and the U.S. can't be denied. 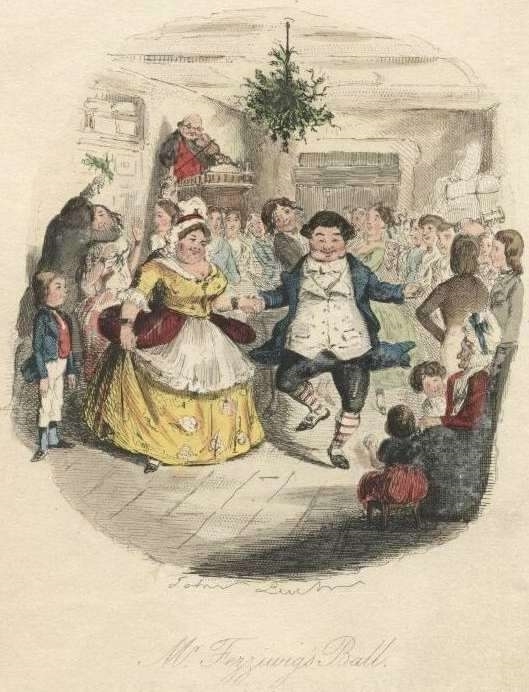 Many of our notions of what makes a "traditional" Christmas come straight from the Dickens story, even though many older "traditional" winter holiday customs were being practiced long before Dickens' tale appeared in 1843. In fact, our present-day holiday celebrations borrow from many different cultures and religious practices. 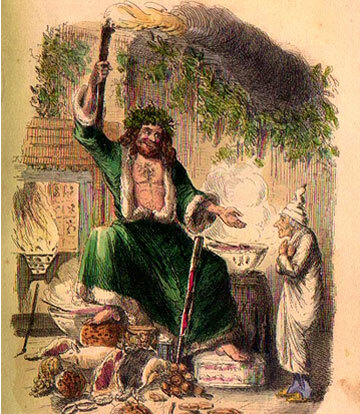 A Christmas Carol has never gone out of print -- a remarkable feat for a work that is now 172 years old. In 1843, the same year Charles Dickens published A Christmas Carol, J.C. Horsley and Henry Cole produced the first Christmas card. 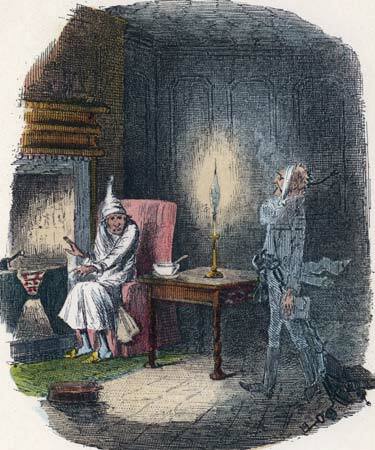 Mr. Fezziwig, the generous employer Scrooge remembers fondly from his own youth, is often portrayed wearing a powdered wig. In truth, he wears a "Welch Wig," a knit woolen cap with loose threads. Dickens himself gave epic holiday parties. It is reported that one party at his home Gad’s Hill was attended by more than 2,000 guests. Speaking of parties, during Fezziwig's party, Dickens mentions the song “Sir Roger de Coverly.” This was Dickens’ favorite. At one of Dickens’ own parties, he had his musicians play “Sir Roger” until they were exhausted. Dickens stated, “Would that Christmas lasted the whole year through." 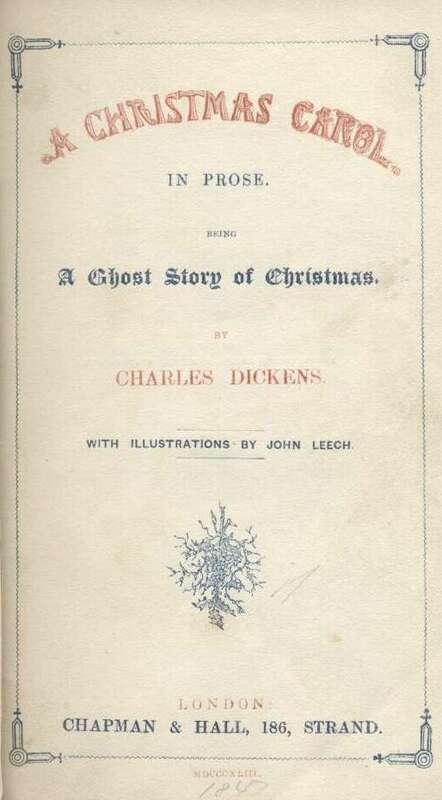 Dickens began performing his one-man Christmas Carol in Edinburgh, Scotland and toured all over England before bringing it to the United States. In Lowell, Massachusetts, his performance inspired a factory owner to change his ways and better the situations of his employees. What's the Matter with Tiny Tim? Dickens' story serves as a pointed indictment of the treatment of the poor and especially children living in poverty during Dickens' lifetime. Dickens' message is pointedly clear: we must not ignore the needs of the greater society while we fill our bellies, lest we lose our own humanity. At the heart of the story and at the heart of Scrooge's transformation is the plight of Bob Crachit's son, Tiny Tim, a diminutive boy with a painful limp and a dim future until Scrooge intervenes. From what medical condition might Tiny Tim be suffering? DON'T MISS THIS CAPTIVATING ONE-MAN CHRISTMAS CAROL.